Discussions about music online tend to be dominated by the question of paydays for professional musicians. Will they be able to make a living in the way they used to? 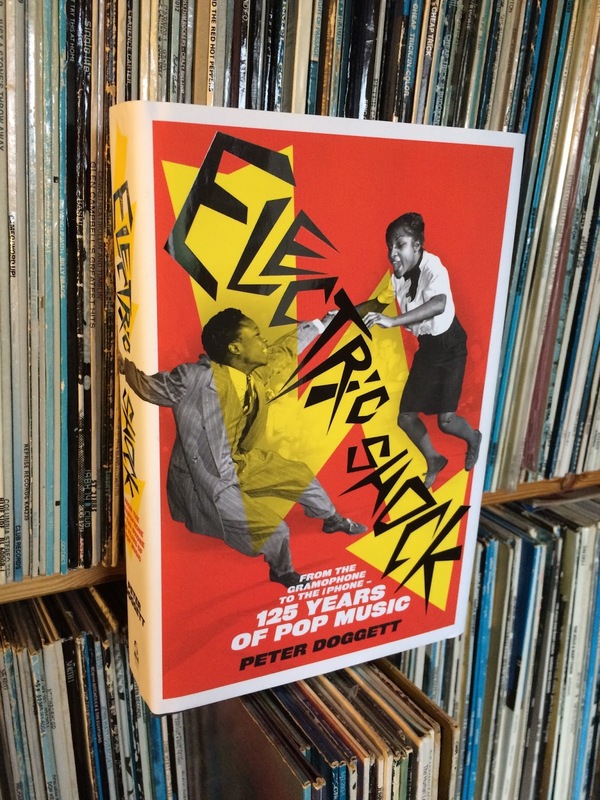 The first thing you learn from Electric Shock: From the Gramophone to the iPhone - 125 Years of Pop Music by Peter Doggett is that no, they certainly won't be able to operate in the way they used to. Any long look at the way the business of making music has unfolded in the last hundred years shows it's changed many times. It was disrupted by sheet music, by the player piano, records, radio and by forces beyond its control, such as world wars and economic slumps. Despite all the anguished editorials about how nobody will be able to make a living in the future, I haven't noticed the current malaise having much effect on the number of people still working as professional musicians or reducing the steady flow of new starters wishing to join them. As somebody said about independent TV producers, "it's not a job; it's a lifestyle". The second thing I've realised is that writing a book like Doggett's is only possible in an era like this one. When we talked to Peter at Word In Your Ear last week he said that in the course of writing it he'd listened to every single record that had ever gone in the charts. He might have only listened for thirty seconds but he'd done it nonetheless. That's only possible in the age of You Tube or Spotify. The river of music accumulated over the 125 years is now almost as as broad as it's long, hardly any of it goes away, the more you you hear the more you realise you have yet to hear, and now it's finally sitting there at your fingertips. Doggett's is a perfect book for reading right-handed, with your finger hovering over the mouse. While going through it I've been able to re-new my acquaintance with recordings I haven't heard for years and also hear lots of things that I don't think I'd heard before. Such as "The Downfall Of Nebuchadnezzar" by Reverend J.C. Burnett, Paul Whiteman's "Muddy Water", in the course of which Bing Crosby makes his debut, "Oop Shoop" by Shirley Gunter and The Queens, which could be said to be the prototypical girl group record, and Louis Jordan's "Ain't That Just Like A Woman", which gave Chuck Berry the guitar lick that he then claimed as his own. Of course, there's really no such thing as "the original". 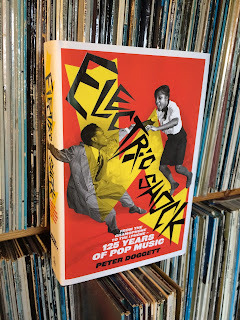 One of the other things you learn through reading "Electric Shock" is that there isn't much point looking for originators and copyists. Pop music has always been the magpie's domain. Thanks to the internet we've finally got the evidence of all that benign larceny at our fingertips. You can listen to our chat with Peter Doggett here.